The programme is aimed at equipping journalists, especially those who have practiced the profession or seven years without any formal qualification in Journalism or Mass Communication, with the theoretical knowledge to remedy their deficiency. UNIZIK Professional Diploma in Journalism Entry Qualification. UNIZIK Professional Diploma in Journalism Duration of Programme. 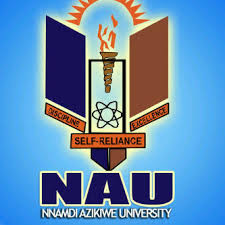 Nature of UNIZIK Professional Diploma in Journalism Programme. Take-Off of UNIZIK Professional Diploma in Journalism Programme.